When you need information about CSView, you’ve come to the right place. CAD / CAM Services is an authorized reseller, as well as a regular user of CSView in our service bureau. This means that we not only offer competitive pricing, but we also offer experience using the software. We know that no matter how easy software is to use, sometimes you have a question about it. We use everything that we sell, so we understand it and we endorse it. Just click on the button below and fill out the form to get FAST information and pricing on CSView. The amount of information encountered in technical environments today is enormous and typically comes from many different applications. To be able to review and collaborate this information with other users on specific details requires a robust visualization tool that handles many different file formats. CSView provides the maximum flexibility in re-use and collaboration of this data. CSView can be used as a standalone application, integrated with industry standard document management systems or invoked from within any application that contains an ActiveX control. CSView is supplied with 2 levels of functionality – CSView Basic and CSView. Users of other CSoft products will appreciate that CSView has the style GUI that they already know. The user can change the position of application windows, toolbars and menus at will. The powerful customization feature allows adding and to customize menus and toolbars. It is also possible to associate accelerator keys with any of CSView’s functions. The main function of any viewer is to show the content of a file as fast and accurate as possible. It is also necessary to supply the user with a convenient set of tools to navigate in and between the files. 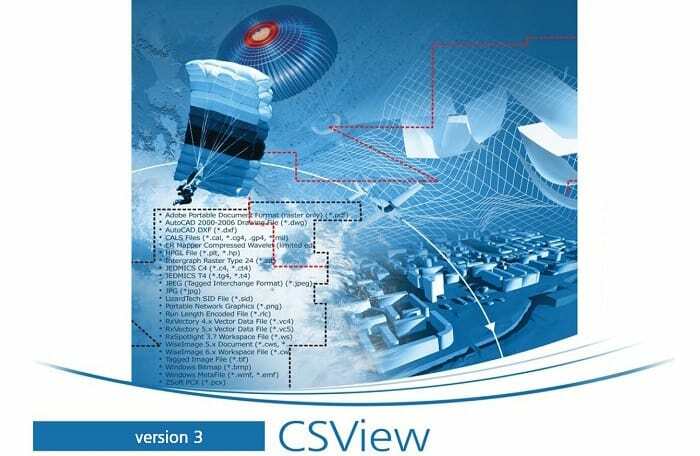 With help of CSView, the user can open any kind of documents and file formats, including raster images, vector CAD-files, PDF, and hybrid (raster-vector) files. Every file – no matter what file format – is manipulated with the same set of tools. 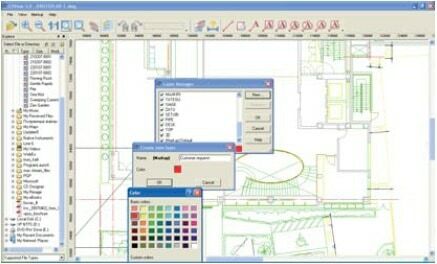 It is possible to zoom and pan over the drawing, to control the display of layers in layered drawings, such as AutoCAD DWG or DXF file, etc. For better display quality color raster images halftone is used. CSView can output viewable files to a printer. A full print preview is available to check the output settings. It is simple to select what and how you want to print. Results can be scaled to the desired size or automatically resized to fit the available paper size. Moreover – all predefined printing parameters such as printing paper format and orientation, document position on printing paper etc can be saved as printing templates and reused later. Markups are separate files that are linked to an associated document. Markups can be stored on any drive or media, making it available to other users making it an invaluable asset that greatly facilitates communication and collaboration between team members. Any viewable document can be annotated to implement collaborative content creation, change requests, ECOs, and other revision and versioning controls. CSView markup tool has Rectangles, Rounded rectangles, Ovals, Lines, Polylines, Bubbles, and Text as markup objects. The user can move, scale, rotate or edit any marked-up object. It is also possible to add hyperlinks to any markup. A text comment with frames and arrow allows team members to share ideas and highlight problem parts in the design. Multiple colors, the semi-transparent mode for backgrounds and different fill styles can be used to distinguish different markups. Furthermore, layers can be used to manage markup. Markup drawing commands utilize raster/vector snap and Ortho mode to accurately draw comments. CSView has a COM-based architecture for optimal speed, performance, stability, and security. It can be provided in two versions – as a standalone application or as an embedded ActiveX-control application. It is possible to integrate the CSView control directly into an industry standard EDM or PDM system or add it into any other application which is capable of containing ActiveX control objects. CAD / CAM Services is one of the largest providers of CAD / CAM conversion software and services in the USA. We are experienced users of CSView, as well as all of the other software products that we sell. We invite you to contact us for expert information and competitive pricing on CSView and, don’t forget… we’ll also do your conversions for you!